As the Celestine Vision expands, the Lead Solution Architect will work with the Company Director to expand the voluntary technical IT team as appropriate, ensuring we recruit the right resource to implement our vision. Assist in the assessment of business ideas, project scoping, the feasibility analysis of web-based solutions. 2. Ensure that all High Level and Detailed designs meet agreed Business Requirements, align with Strategy and Architecture, are cost effective, deliverable and supportable. 3. Act as the Technical Design Authority within a project to ensure that the Detailed Design, Build and Test align with the High Level Design to provide agreed quality assurance. Achieve a wide view on all significant developments across Solution Delivery, and ensure synergies and areas of misalignment are managed to successful conclusion. 1. Build strong relationships with peers and stakeholders. 2. Ensure that technical team members are clear on their responsibilities. 3. Coach and mentor other design/technical IT team members as recruited. 1. Minimum 5 years Solution Architecture experience. 1. This is a remote based, volunteer position. 2. You will be able to commit a minimum of 8 hours a week to the cause. 3. You will provide your own IT equipment to work from. 4. You will be available for conference calls with a degree of flexibility to enable meetings with team members in varying time-zones. 5. 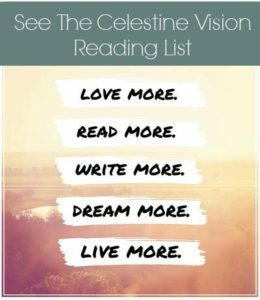 You have read at least one of James Redfield’s Celestine Prophecy books.